A 45-acre mixed-use site is now under development by Goodman, located adjacent to the A421 in Bedford, England. 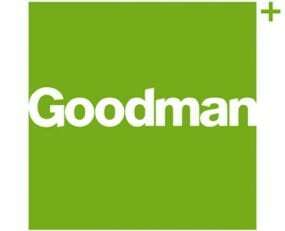 Approximately32m consumers are accessible within a two-hour radius and Goodman has received demand from customers for new logistics space across Bedfordshire and Buckinghamshire. The location also provides fast connections to London and the Midlands. Situated seven miles east of J13 of the M1 and 12 miles west of the A1 Black Cat roundabout, Bedford Commercial Park is in a prominent position fronting the A421, providing branding opportunities for customers if visibility is important to them. The development is part of Bedford Borough Council’s wider scheme to provide a range of serviced plots suitable for industrial, warehouse, distribution, hi-tech and office uses, developed to meet customers’ requirements. The development will be a 405,312 sq ft cross docked warehouse and distribution unit and will be available by summer 2019. Benefitting from 55 m and 35 m yard depths and 360-degree circulation space, it will offer 15 m clear internal heights, double deck and multi dock loading doors, as well as 403 car parking spaces and 173 HGV parking spaces. The building will provide 18,500 sq ft of office accommodation organised over two storeys., Sustainability initiatives will include electric car charging points, LED lighting and a carbon neutral cladding envelope.